North Texas Giving Day is truly a collaborative effort and Communities Foundation of Texas is honored to join forces with 50 community partners including foundations, corporations, and individuals to help power this region-wide movement. This year, three longstanding partners, based in Arlington, Dallas and Fort Worth significantly increased their contribution to this groundswell of giving and each shared why they believe investing in North Texas Giving Day yields a high return on investment. The Arlington Tomorrow Foundation was created 10 years ago to ensure that the income received from natural gas drilling on city property would benefit Arlington and its residents for generations to come. The Foundation wanted to provide support to meet the needs of Arlington for today and tomorrow. Since 2007, the Foundation has made more than 350 grants totaling $18 million to boost human services programs, improve neighborhoods, preserve nature, and promote arts and culture in the “Dream City” of Arlington. The Arlington Tomorrow Foundation supports North Texas Giving Day to spotlight Arlington-based nonprofit organizations and their value to the community, and to encourage citizens to support the charity of their choice on this day, and throughout the year. This year will be the Foundation’s 4th year to host the Arlington Gives! Event on Giving Day, a concert at the Levitt Pavilion featuring the Josh Weathers Band. Arlington-based nonprofits participating in North Texas Giving Day will be present to show off their talents, and on-the-spot pledging will be available. For more than 100 years, Neiman Marcus has been giving back to the community. Their philanthropic legacy began in Dallas in 1907 through founder Herbert Marcus’ generosity to SMU and the Dallas Opera. Today, Neiman Marcus stores are dedicated to serving worthwhile causes within the 42 communities where their stores are located and are a proud to sponsor North Texas Giving Day. Aligning with their strategic focus area of youth arts education, Neiman Marcus provides special prizes to nonprofits within this category participating in Giving Day. In addition to their strategic focus area of youth arts education, Neiman Marcus supports charitable projects nationwide, assists in disaster relief efforts, and works closely with Herbert Marcus Elementary School in Dallas Independent School District. Through their business-advised funds managed by Communities Foundation of Texas, Neiman Marcus has granted over $15 million since 2008. The Morris Foundation views their grants as investments that generate a return — measurable and lasting impacts on the lives of the disadvantaged in our community. The Morris Foundation believes that supporting Communities Foundation of Texas’ Giving Day pays dividends now, with dollars raised, and in the future, with broadened support of organizations helping those most in need. Their support of Giving Day contributes to a tide of help that rises all boats of those in need. This day is an opportunity to come together to do what Texans do best–help neighbors in need get through a hardship and back to self-reliance. The Morris Foundation believes that education is important to live a sustainable and hopeful life. They are dedicated to supporting the educational needs of disadvantaged children and young adults, with a special focus on addressing early learning deficiencies of those from birth to third grade. With a rigorous evaluative process, The Morris Foundation invests in local programs that deliver the strongest measurable outcomes to those with the greatest needs, within their giving categories. In 2017, they added subject matter expertise in their three focal areas of education, healthcare and social services to enhance their capability, in partnering with others in our community, to address the needs of the disadvantaged. We invite you to learn more at The Morris Foundation website. To learn more about North Texas Giving Day sponsors please visit our funders and partners page. For more than 60 years, Communities Foundation of Texas has been matching the giving passions of companies with real community needs in North Texas and beyond. We are excited to have growing support of North Texas Giving Day from the corporate sector and this year have joined forces with several retail partners including Kendra Scott, Microsoft, and Charming Charlie. We asked each of these companies why they decided to give back through North Texas Giving Day and we hope you are as inspired by their stories as we are! For Kendra Scott the answer is easy. The company was founded on the three core pillars of Family, Fashion, and Philanthropy; which gave the company a firm foundation allowing them to grow into a successful fashion and lifestyle brand that stands apart from the rest. From a local to a national scale, if someone comes to Kendra Scott with a cause they care about, Kendra Scott will always have something to give. Philanthropy has become an integral part of the Kendra Scott culture, and the relationships the company has built with their customers and their communities as a result are invaluable. To continue this mission of philanthropy Kendra Scott is hosting a Kendra Gives Back Party event at all six of their DFW stores on Thursday September 7 from 4pm – 8pm from which 20% of the proceeds will benefit North Texas Giving Day. Microsoft works day in and day out to include and empower people everywhere to have access to technology that can improve their lives. They are honored to partner with diverse stakeholders including nonprofit groups, innovative companies, and governments in order to offer programs that help empower youth, entrepreneurs, and developers. Microsoft CEO, Satya Nadella explains further –“At Microsoft, our mission is to empower every person and every organization on the planet to achieve more. We also care deeply about how we achieve that mission and our lasting impact on the world and the communities where we operate. In this year’s annual letter to shareholders, I devoted my closing thoughts to the important role technology can play in spreading economic opportunity more evenly around the world. I believe we must continue to dedicate ourselves to the challenges humankind faces, the role technology can play, and the unique contributions Microsoft can make.” We are honored that Microsoft store locations at NorthPark Center and The Shops at Stonebriar will serve as official donation stations on September 14th. At Charming Charlie, the company believes at a fundamental level that it is important to give back to the communities that they work and live in. This commitment is represented in the Charming Charlie mission: To make women happy and inspire them to lead more colorful, confident lives. Charming Charlie will continue to fulfill this mission by hosting a landmark two-day Charming Charlie Chic Event across all 15 DFW locations on Friday September 8 and Saturday September 9 benefitting North Texas Giving Day. To help these organizations give back to the North Texas community, visit their stores for the proceeds events and hosted donation stations. To learn more about our retail partners, please visit our retail partners’ page. Nonprofits often have many questions about Matching Funds – what they are, how organizations can get them, etc. Hopefully we can shed some light on this mystery! 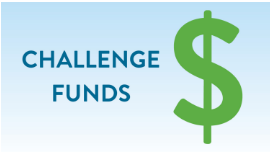 Matching funds are funds that are put up by a donor (or group of donors) to “challenge” others to give, usually to give a certain goal amount. Matching funds are a 1:1 match of donor dollars up to an agreed upon amount. Matching fund donors will match all donations given to a nonprofit up to $5,000 on North Texas Giving Day. With over 2,000 nonprofit organizations participating in #NTxGivingDay, we receive tons of emails and phone calls, with questions, questions, and more questions. Today you are going to meet the person whose primary role with #NTxGivingDay is to provide support for all of the nonprofits and lead our team through the day-of events — Meet Tina Lin! 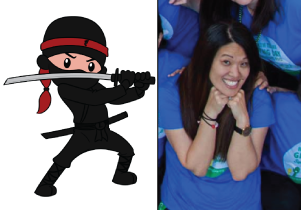 Role with North Texas Giving Day: I am the Nonprofit Ninja and I help with all Nonprofit Organization support and coordinate the Dallas day-of events.